ROHO has improved the AirLITE with you in mind! The AirLITE Cushion improves the ability to transfer by lowering the front and middle of the cushion 3/4 inch (2 cm), while keeping its strong positioning capability by deepening the leg troughs. The lower height also contributes to a greater feeling of security in the chair. The non-adjustable ROHO AIR FLOATATION™ air insert built into the cushion under the ischials has been enhanced to provide better bottom-out protection. Softer foam allows the cushion to conform to the individual’s physiology and provide a more comfortable seating surface. The 24 month warranty shows our confi dence in the quality and durability of the product. The AirLITE is an off the shelf, ready to use product. No adjustment is required. The cover design, with full zipper coverage, provides enhanced fl uid resistance to protect the foam. At the same time, the cover is 100% PVC free, reinforcing ROHO’s commitment to more environmentally friendly products. Are at risk for skin/soft tissue breakdown. Need a lightweight, non-adjustable seating system. Require a more stable environment for transfers. ROHO has been in over 90 scientific and clinical studies to reinforce and verify that a ROHO DRY FLOATATION cushion heals, treats and prevents pressure injuries including deep tissue injury. Includes AirLITE cushion, cover, operating instructions, product registration card. The AirLITE must be used with the supplied cover. Height Approximately 2 in. to 3.75 in. / 5cm to 9.5cm without load. Height range is due to the contour of the cushion. Weight Limit There is a weight limit of 300 lbs. (136 kg), and the cushion must be properly sized to the individual. Warranty Cushion: 24 Month Limited. The warranty does not apply to punctures, tears, or burns; nor does it apply to the removable cover. 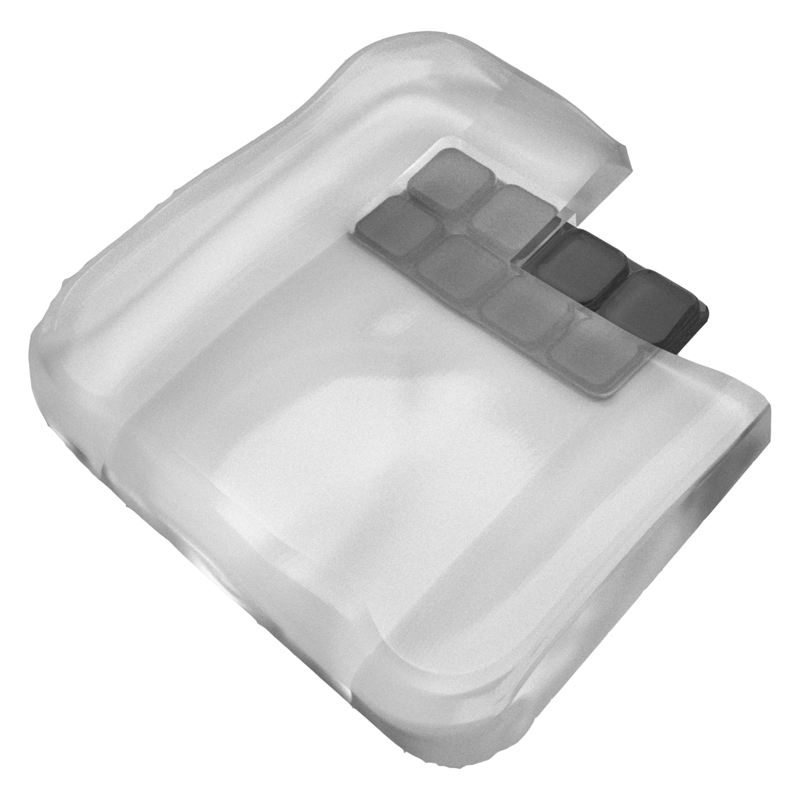 Contour Base, Planar Solid Seat Insert, ROHO Privacy Shield or ROHO Cushion Retainer.